These Literature Organizers Will Also Display Food, CDs, DVDs and more! The Reading Material Holders Have Deep Pockets to Allow for the Placement of Many Items. 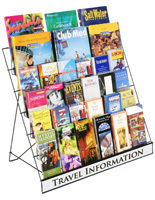 The Literature Organizers can Have Themes to Catch the Eyes of Customers. 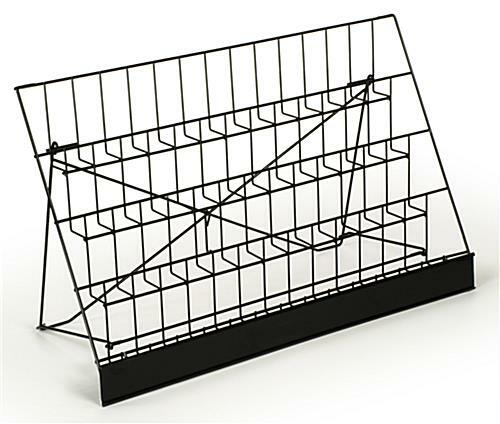 Wire rack is durable and lightweight. Commercial tabletop display has open design that is versatile! Metal holder is offered at a low price for everyone's budget! 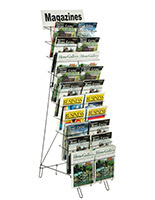 These countertop racks, literature organizers showcase your print materials. These metal stands have 4 levels for versatile marketing. 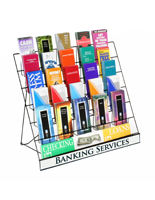 These literature organizers that are made of wire bring customer attention to your items. 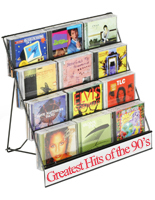 Portable arranging stands are perfect for DVD and CD sales too. 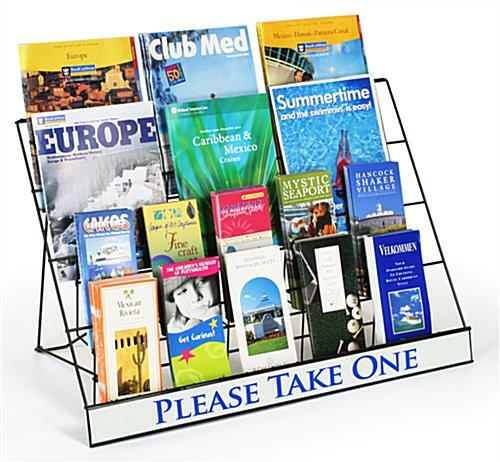 These literature organizers for rest stops make your brochures presentable! 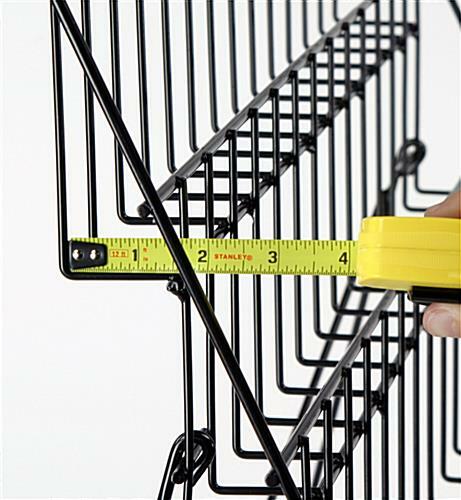 Countertop metal racks offer clear viewing with convenience. These literature organizers, called wire holders, are also wonderful sorters for improving tidiness at work. 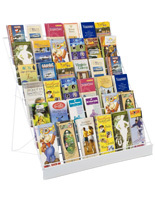 Tougher than acrylic stands, these countertop wire racks are long-lasting reading material storage. 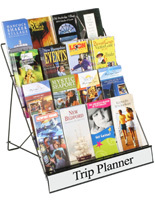 These literature organizers are constructed of metal wire and have a gloss black coating. These wire stands have an easily collapsible bracket for easy portability within a space. 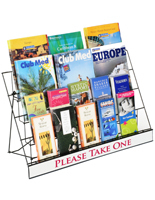 The literature organizers are perfect for commercial tabletop sales because it measures 29" wide x 17" high x 10- 3/4" deep. 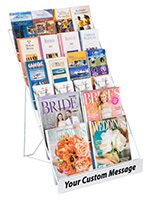 Your custom message will fit easily into the sign holder found at the bottom of the display. The literature organizers offer extra visibility and attention to presented selections. Note that the "Please Take One" sign is not a part of the holder display, but is shown as a sample of what custom inserts might look like. 29.0" x 15.0" x 17.5"